Baking is one of my favorite parts of the holiday season. I love having baked treats in our house for company, and we also love to hand out tins of baked goods to our loved ones! I wanted to share one of my favorite cookie recipes. We’ve been eating these cookies for so long, I have my recipe memorized. We use Nestle Toll House morsels in our chocolate chip cookies. I like to use a stand mixer. It makes it very fast and easy. I turn it on to cream the butter and sugars, and I turn it off after the morsels are mixed in. It does all the hard work for me. I prefer using unsalted butter, fine sea salt, and real vanilla. I’ve tried a lot of combinations of different butters, salts, and vanillas. This has produced the best flavor, in our opinion. You can mix it up by using different morsels! 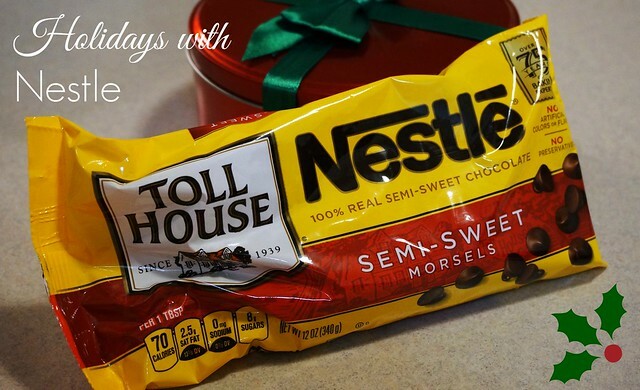 Nestle Toll House has a larger variety of Holiday morsels, all of which are delicious! I personally like the Delightfull morsels, which are filled chocolate chips. We’ve tried the peanut butter chocolate chips, and they have a peppermint version for the holiday season! 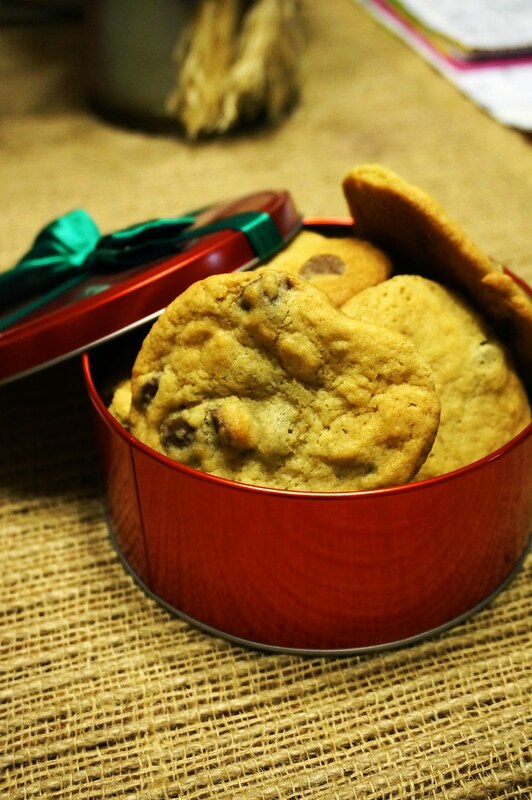 Do you bake for your loved ones during the holidays? Enter the giveaway below for the chance to win $10 to get you started on your own holiday baking extravaganza! There are also a few coupons available on the Nestle site here.